Have Victoria Gordon and Paul Reddell found a new weapon against cancer with blushwood? THIS journey begins in a tangle of emerald foliage, deep in a north Queensland rainforest. Victoria Gordon is crouched by a clearing, slapping at leeches and insects. Like her husband, Paul Reddell, she’s as wet as can be. There’s no way to keep dry, nowhere to shelter in their line of work. Hour after hour they sit tight while the rain tumbles down in big fat drops and rat kangaroos nose hungrily around the berries lying near their feet. Something doesn’t add up. The diminutive marsupials should be feasting on the nutrient-packed seeds of the blushwood tree. It’s a jungle out there so why would they pass up an easy meal? Instead, they bite into the kernels and push them away, as if fire to the mouth. The two scientists take careful note. They will watch this pantomime for hours at a time. How intriguing. Like the song says, from little things, big things grow. Gordon and Reddell are forest ecologists, trained to look past the trees to see the woods. Their specialty is plant defence mechanisms. What’s going on beneath the spindly blushwood has got them thinking. The chemical reaction is powerful enough to deter the scavenging animals without killing them. Could there be an application for people? It’s just a hunch, but it turns out to be inspired. When they send off a batch of crushed kernels to a commercial lab in Sydney, the results come back with bells on: their powerful anti-cancer properties warrant a closer look. Scientists at the QIMR Berghofer Medical Research Institute in Brisbane test the compound, dubbed EBC-46, on a tumour cell line and are astonished by its effectiveness. When applied to a laboratory mouse implanted with human skin cancer, the melanoma turns red and purple, then melts before their eyes. The year is 2006 and Gordon and Reddell have no time to waste. Up to 100 Australians a day are dying of cancer. Now, at last, people look set to be treated. Gordon, Reddell and researchers at QIMR Berghofer have years of scientific research detailing how “a single ... injection” of EBC-46 killed most kinds of large-mass tumours and cancerous tissue in 70 per cent of the animals that were monitored. All things being equal, an opening Clinical Phase I trial involving end-stage melanoma patients and those with brutal head and neck cancers will be under way at Australian hospitals by September under a fast-track scheme that allows cancer products to be tested on patients sooner than some other drugs. “It’s time, we need to get this into people,” 54-year-old Gordon says in her no-nonsense way. She is deeply invested in EBC-46, as one could easily imagine. It goes beyond the sweat and tears that went into the discovery and development process and, yes, the money she and Reddell, her colleague and life partner, stand to make should they sell their unlisted company or take it public. Victoria Gordon was a girl of 12, one of seven kids, when Richard Nixon made the “war” on cancer official US government policy in 1971. The then president said if America could put a man on the moon it would beat cancer in five years, neatly in time for the US bicentennial. It never happened, of course; the more we learn about cancer - or, more accurately, the suite of diseases that comprise cancer - the more opaque it seems. Yet four decades and seven presidents on, Barack Obama is still talking up the prospect of curing it in “our time”. Few scientists speak in such absolute terms, Gordon among them. She is cautious when discussing EBC-46’s potential at this delicate juncture of the registration process. “We’ve made a lot of progress but we have a long, long way to go,” she says. Peter Parsons of QIMR Berghofer, the veteran medical scientist who first tested it on live cancer cells, points out that the pre-clinical stage is the “valley of death” for new drugs. Most fall over long before reaching the critical and vastly expensive proving exercise of a Clinical Phase III trial, which is dependent on the results of the earlier studies - and cash. Potentially, buckets of cash. Still, there’s a quiet confidence to how they are all going about this laborious business. Gordon and Reddell’s company, EcoBiotics, began as a cottage industry clustered around their home in Yungaburra, a rainforest-fringed hamlet on the Atherton Tablelands, 90 minutes’ drive west of Cairns. The operation reaches across the world to a pharmaceutical plant in Iowa, which is producing the compound to medicine-grade standard, preclinical R&D in Switzerland, the US and Canada, and equine trials in London. 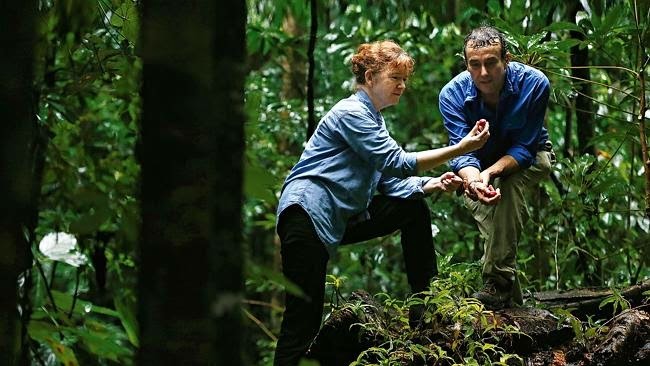 They met 20 years ago, after Gordon threw in her job with a plantation timber company in Tasmania and moved to north Queensland to work for the CSIRO’s Tropical Rainforest Research Centre, where Reddell, 54, was a principal scientist. Her background is in chemistry and microbiology; he’s a “bloodhound” of an ecologist who can sniff out just about anything in the rainforest, Gordon says. The blushwood tree was just one of a number of plants that had attracted their attention. An otherwise unloved specimen, it grows beneath the forest canopy to a height of 15m, too slender to interest loggers, skittish of direct sunlight. But the early results on the seed extract made it their priority. Gordon left the CSIRO to go fulltime on their new venture. The couple sold everything they could part with - a horse float, their bicycles, her jewellery - to set up a laboratory in the garage of their highset home. Gordon focused on the business side, striking a profit-sharing deal with the Queensland government and private landowners for access to local rainforests, the only place in the world where the blushwood tree is known to exist. Reddell, having followed her out the door at CSIRO, immersed himself in the nitty-gritty of producing the active compound and prepping native trees to be cultivated. To date, they have raised $36 million from investors to develop the drug through a subsidiary company, QBiotics. Yet even now they struggle to explain exactly how it works: as Parsons admits, the mechanism isn’t completely understood, though his team at QIMR Berghofer has been poring over it for most of a decade. What’s clear is that it attacks cancer in a way not seen before with conventional therapy. When injected into a tumour or applied by gel - the growth has to be on or erupted through the skin for the purpose of the current studies - the drug activates a local tissue response through an enzyme known as protein kinase C (PKC) or related molecules, precipitating an onslaught that cuts the blood supply to the tumour and kills it. Cancer begins with a short circuit in a single rogue cell that causes it to grow uncontrollably. But the disease can’t take hold unless it suppresses the immune response. Blinding the immune system is the sinister secret to cancer’s success. EBC-46 blows that cover. Not that Bonny seemed to mind. By day two he was jumping around like a playful pup. Such examples of “euphoria” have been observed in many animals after treatment. Gordon thinks it may have something to do with relieving the general burden of cancer, lifting “this great weight off the body’s systems”. The dog’s wound healed within a few weeks and he remained clear of cancer until his death about a year later from an unrelated illness. Herein lies the elegance of the drug, or at least in how it has been seen to work in animals. In most cases, a set of five or six injections does the trick, but a follow-up course can be required. Evidently, the response to EBC-46 doesn’t stop there. It kicks up a gear, healing the wound with soft, new skin. Of the 344 animals treated to date - about two thirds of them dogs - 78 per cent ended up cancer-free or with tumour mass reduced by more than half. Fewer than nine per cent failed to respond. Bone cancers and highly fibrous tumours have proved to be resistant, possibly because not enough EBC-46 can penetrate. At the Tableland Veterinary Services clinic in Atherton we meet Carmel and Tom Gavin and their bright-eyed shih tzu terrier, Millie. The little dog had had unsuccessful surgery on a mast cell tumour on her left paw the size of a 20c piece. “We were looking at amputation or death in the end,” Tom says. Millie received a course of EBC-46 on January 7 and the growth dissolved in typically messy fashion until what was left of it dropped onto the floor. Three weeks later, the wound is a healthy pink, nearly healed. “I don’t use anything else on mast cell tumours,” vet Justine Campbell says of a cancer that accounts for about a quarter of tumours in dogs. There have been disappointments, however. After years of wrangling with bureaucrats, the drug was finally tried on Tasmanian devils with facial tumour disease, an aggressive cancer that has cut a swath through the wild population, jeopardising the species. “It’s a sad story,” Gordon admits. Three animals were treated in early 2013 with very light doses, which destroyed most of the growths on them, a highly encouraging result. However, by the time agreement could be reached for a follow-up treatment with the ethics committee overseeing the trial, it was too late for two of the devils. “We really needed to do more work,” she says ruefully. Her door is open, however, and the Tasmanians may opt to give it another shot. A reality check. Australians are living longer with many cancers as treatments improve: surgery is generally less disfiguring, chemo combinations are more effective and less disabling, therapeutic radiation more tolerable. And there’s the new generation of drugs. Formerly a death sentence, chronic myeloid leukemia, for example, can be controlled for years by Gleevec, while the QIMR Berghofer team did much of the heavy lifting to develop the recently approved drug Picato, from the sap of a common weed, to treat sunspots before they turn malignant. Yet of all diseases, cancer has stubbornly failed to fall to the march of progress by medical science. More people than ever are getting it. This is partly a function of a greying population: the longer you live, the higher the chances that a misfire in your genetic circuitry and exposure to carcinogens will seed a tumour or cancer of the blood or bone marrow. A decline in tobacco use has been offset by Australians’ expanding waistlines and love of a drink. In February, the World Health Organisation reported that cancer had surpassed heart disease as the leading cause of death globally. Just on 125,000 Australians will be diagnosed with cancer this year, according to the Cancer Council, a 50 per cent increase on the number a decade ago; there will be more than 44,000 cancer deaths, based on 2011 figures. The direct cost to this country’s health system will approach $4 billion. If cancer is caught early, a patient’s chances are better than they have ever been. Nine in 10 women with breast cancer will survive for more than five years. Yet once it spreads, the prognosis for most forms of cancer remains deeply problematic. My paternal grandfather died of pancreatic cancer in 1979, three years after the expiry of Nixon’s faux deadline for a cure. His suffering, no doubt, would have been eased by modern palliative care. But his overall prospects were little better than those of a patient today, given the five-year survival rate for pancreatic cancer, a particularly vicious type, is still 5 per cent. Gordon’s sister Cheryl, 61, mother, grandmother, professional chef, received the best treatment available in Melbourne after her liver cancer was diagnosed. Targeted doses of chemotherapy were delivered to the tumours, boosting effectiveness and minimising side-effects. To no avail. Cheryl was an early investor in EcoBiotics and knew what compound No. 46 had done in animals. She asked her sister - the only scientist in the family - to give it to her about six months prior to her death on December 14. What harm could it do? No one need know. Boyle is equally cautious. He has taken too many pleading calls from those who have run out of options to say anything that would raise expectations of yet another magic bullet for cancer. For all its potential, there is no suggestion that the drug could replace surgery or chemotherapy as a core treatment. For a start, it can’t be used systemically, as chemo drugs are, against metastatic cancer. EBC-46 won’t “chase down” tumours once they spread, Gordon admits. If EBC-46 gets through to Clinical Phase III, the critical proving trial that generally involves thousands of patients around the world, it will have burned through all the cash Gordon and her husband have raised, and more. The majority of their 1200 shareholders are mums and dads who have kicked in as little as $1500; the biggest single outside stake in the unlisted company is $1 million. This is more by accident than design. Gordon initially did the rounds of venture finance providers but was rebuffed; prove it up and come back to us, the money-men told her. The expense of getting a drug to market is staggering, which helps explain why so few get through in Australia. Picato, a rare success story, had $130 million ploughed into it by Danish outfit LEO Pharma before being registered by the Therapeutic Goods Administration last year. In a small pond, Australia’s CSL is the nearest thing there is to a big local fish. Yet to meet the development cost it had to license the international rights of Gardasil - the revolutionary cervical cancer vaccine pioneered by 2006 Australian of the Year Ian Frazer - to US group Merck. Gordon estimates that EBC-46 will require north of $600 million to be made into medicine - completely out of their league. She and Reddell have structured the company so that the subsidiary, QBiotics, contains the intellectual property and could be peeled off for outright sale or a stockmarket float. Reddell is cross-breeding blushwood trees to improve their yield, raising them in rows of vineyard-like trellises on a windswept prototype plantation east of Yungaburra. Like opium, another gift from nature when used as a painkiller, EBC-46 can’t be synthesised. If all goes to plan, royalties will flow to the Queensland government and private landowners under the agreement covering the couple’s discoveries. EBC-46 is not all there is in the works. They have done deals with a German cosmetics ingredient supplier and a US conglomerate to develop a range of antioxidants, anti-inflammatories, antimicrobial products and - of all things - a skin-whitening cream. Another compound, EBC-23, shows promising activity against prostate and breast cancers; WH-1 is a potential healing treatment for acute and chronic wounds such as pressure sores and tropical ulcers. “It’s a great laboratory out here,” Reddell says, running a hand through his soaking hair. For all our sakes, let’s wish them well. The gel for treating cancer-causing sunspots was developed from the common radium weed Euphorbia peplus and, like EBC-46, its active ingredient works on protein kinase C to activate the immune system. The gel has been approved in Australia and the US, and can alleviate the need for surgery to remove sunspots, a precursor to squamous cell carcinoma, the second-most common form of skin cancer. Some of the scientists who worked on EBC-46 were involved in developing Picato with Peplin Biotech, the company founded by former CSIRO researcher Jim Aylward. A new entry to the hot field of monoclonal antibody therapy, this experimental drug is in a Clinical Phase I trial for the treatment of acute myeloid leukaemia, one of more intractable types of blood and marrow cancer. CSL is hoping to replicate the success of its breakthrough cervical cancer vaccine Gardasil, after signing a licensing deal with a Johnson & Johnson subsidiary. However, it underlines how the crushing expense of bringing new medicines to market generally dwarfs the resources available in Australia. One of a new class of anti-cancer agents called BH3-mimetics, the treatment is being trialled for leukaemia and other cancers. It is designed to block the function of the protein BCL-2, discovered by researchers from Melbourne’s Walter and Eliza Hall Institute 25 years ago. The treatment achieved outstanding results in a phase I trial of 67 Melbourne patients, clearing cancer in 23 per cent of them and achieving partial remission in a further 61 per cent. Not the tax, but so-called gene silencing technology being developed by listed company Benitec Biopharma. The work dovetails with intensive research abroad. Known more formally as DNA directed RNA interference, the process was developed by former CSIRO scientist Mick Graham to switch off genes that cause disease. According to the company, it has the potential to provide a “single shot” cure for lung cancer, hepatitis strains B and C, and HIV-AIDS. The US Food and Drug Administration recently gave Benitec the nod to commence clinical trials on the hepatitis C treatment. This is a protein identified as a new target for treating the aggressive brain cancer glioblastoma multiforme (GBM). Discovered in leukaemia cells by Queensland scientist Andrew Boyd, EphA3 is also required for a high proportion of GBM to grow and form tumours. It can be targeted by an experimental drug for leukaemia, establishing a fast track for a clinical trial in GBM application at QIMR Berghofer. The protein’s presence in GBM may explain why the cancer usually recurs despite chemotherapy or radiation. Despite the best efforts of doctors and medical scientists, survival rates for GBM have barely changed in half a century. Die Entzündung bewirkt eine Temperaturerhöhung und eine vermehrte Stoffwechselaktivität im betroffenen Gewebe und trägt zusammen etwa mit freien Radikalen (Artemisinin/Artesunate) dazu bei, die als Bedrohung angesehenen Zellen im Körper abzutöten. Aber manchmal schießt sie über das Ziel hinaus und zerstört normale, nichtschädigende Zellen. Medikamente und chemische Substanzen schaden leider in vielen Fällen unserer Gesundheit langfristig mehr, als dass sie uns nützen. Warum sollte man dann nicht das Immunsystem dabei unterstützen, Krankheiten, wie es seiner Aufgabe entspricht, auf natürliche Weise zu bekämpfen? In Ihrem Garten ist er vielleicht nicht gern gesehen, aber es hat sich herausgestellt, dass Löwenzahn ein enormes Potenzial hat, wenn es darum geht, krebskranken Menschen zu helfen. Das chemotherapieresistente Melanom ist heute die häufigste Krebsform bei 25- bis 29-jährigen Amerikanern. Die einzige Option, die Ärzte diesen Patienten bislang anbieten können, ist ein chirurgischer Eingriff, um den Tumor und das umliegende Gewebe zu entfernen, gefolgt von einer Immuntherapie – all das hat aber keinen Erfolg, wenn das Melanom bereits Metastasen gebildet hat. Die Lage scheint sich jetzt zu ändern, dank einer einfachen Pflanze, die viele Leute aus ihrem Rasen reißen und wegwerfen. Der Fachbereich für Chemie und Biochemie an der University of Windsor in der kanadischen Provinz Ontario hat nachgewiesen, dass Löwenzahnwurzelextrakt menschliche Tumorzellen dazu bringt, sich selbst zu töten, und das ganz ohne schädliche Nebenwirkung. In der ersten Studie zerfielen Krebszellen innerhalb von 48 Stunden, während gesunde Zellen gar nicht in Mitleidenschaft gezogen wurden. Leiter der Studie war Prof. Dr. Siyaram Pandey. Diese vielversprechenden Ergebnisse veranlassten die Non-Profit-Organisation Mitacs, bei AOR Inc., einem in Calgary ansässigen Produzenten für natürliche Gesundheitsprodukte, um die Entwicklung eines Löwenzahnteepulvers zu bitten, das deutlich stärker sein sollte als die bereits in Naturkostläden erhältlichen. AOR mahlte dafür Löwenzahnwurzeln, machte daraus ein Konzentrat und gefriertrocknete dieses zu einem Pulver, das Patienten zum Trinken in heißem Wasser auflösen können. AOR produziert momentan 6000 Portionen dieses Tees für eine klinische Studie, die das Windsor Regional Cancer Centre durchführen wird. Getestet wird der Tee an 30 Patienten mit verschiedenen Krebsarten, darunter auch Leukämie, bei denen konventionelle Therapien erfolglos waren. Die Wissenschaftlerin und Onkologin Dr. Caroline Hamm sagt, dass einige ihrer Patienten nach dem Trinken von Löwenzahnwurzeltee aus dem Naturkostladen Besserungen bemerkten. Der konzentrierte Tee könnte sich als noch viel effektiver erweisen und möglicherweise unzählige Leben retten. Eine 2008 im International Journal of Oncology veröffentlichte Studie zeigte, dass Löwenzahntee Brustkrebs- und Prostatakrebszellen reduziert. Ein späterer Artikel in derselben Fachzeitschrift belegte, dass ein Nahrungsergänzungsmittel, das Löwenzahn enthielt, das Wachstum von Prostatakrebszellen hemmt. Löwenzahnextrakte werden zudem in der Traditionellen Chinesischen Medizin und in der Medizin der amerikanischen Ureinwohner effektiv gegen Brustkrebs und Leukämie eingesetzt. Darüber hinaus gibt es vielversprechende Hinweise darauf, dass Löwenzahnextrakte auch Darmkrebs- und Bauchspeicheldrüsenkrebszellen bekämpfen. Hier endet der Nutzen des Löwenzahns noch nicht. Die Wurzeln können auch die Bildung von Gallenflüssigkeit stimulieren, Allergien lindern, den Cholesterinspiegel senken und die Leber reinigen. Außerdem enthalten sie viel Vitamin A und K.
Dies ist nur eines von vielen natürlichen Heilmitteln, die bei Krankheiten, die die Schulmedizin nicht bezwingen kann, Erfolg versprechen. In den Wäldern, Meeren und sogar in den Wüsten unseres Planeten wachsen sehr wahrscheinlich noch unzählige weitere natürliche Arzneimittel, die nur auf ihre Entdeckung warten. Ein "Unkraut" könnte der Schlüssel für das wirksamste Krebsbehandlungsmittel der Welt sein. Der Biochemiker Dr. Siyaram Pandey von der University of Windsor konnte mit Forscherkollegen im Labor aufzeigen, dass ein Löwenzahnwurzel-Extrakt bei Krebszellen Apoptose (Zelltod) auslöst, während gesunde Zellen intakt bleiben. Ein sogenanntes „Unkraut“, welches auf allen Wiesen und in allen Vorgärten vorkommt, könnte der Schlüssel für das wirksamste Krebsbehandlungsmittel der Welt sein. Bisherige Untersuchungen sowie neuere Forschungen an der University of Windsor in Kanada haben festgestellt, dass Löwenzahnwurzeln besonders wirksam bei der Behandlung von Krebs sind und dies viel mehr als die das Immunsystem zerstörende Chemotherapie. Wie von der Universität in einer Pressemitteilung berichtet, sind sich die Forscher sehr sicher, die richtige Dosierung des Extraktes gefunden zu haben. Klinische Studien mit einem speziell formulierten Löwenzahntee sind in Vorbereitung. Der Forschungsleiter und Biochemiker Dr. Siyaram Pandey von der University of Windsor konnte zusammen mit seinen Forscherkollegen im Labor erfolgreich aufzeigen, wie ein Löwenzahnwurzel-Extrakt bei Krebszellen Apoptose (Zelltod) auslöst, während gesunde Zellen intakt bleiben. Die Ankündigung vom Februar 2015 hat eine besondere Bedeutung für das Forschungsprojekt, da sie dem verstorbenen Kevin Couvillon gewidmet ist. Kevin hatte im November 2010 einen dreijährigen Kampf gegen akute myeloische Leukämie verloren, erklärte die Universität. Im darauf folgenden Jahr spendeten die Eltern von Kevin, Dave und Donna Couvillon, eine größere Summe „an“ Dr. Pandey für seine Forschungsarbeiten. Er arbeitet an natürlichen Extrakten und Krebstherapien. Die Formel der Löwenzahnwurzel, die im Labor von Pandey zum Einsatz kommt, ist etwa fünf mal konzentrierter als das Extrakt, welches über den Ladentisch gekauft werden kann. Es bekämpft erwiesenermaßen Leukämie, Melanome und Bauchspeicheldrüsenkrebszellen in Labormäusen. Caroline Hamm, eine Onkologin am Windsor-Regional-Cancer-Center, stellte 2012 einen Antrag bei „Health Canada“, um mit klinischen Studien am Menschen fortfahren zu können. Die Website „Healthy Solutions“ berichtete letzten Monat: Die Versuche konnten aufzeigen, dass Krebszellen innerhalb von 48 Stunden zerstört wurden. Seit dem Beginn dieses Projektes konnten wir im Labor erfolgreich die Wirkung eines einfachen in Wasser angerührten Löwenzahnwurzel-Extraktes in verschiedenen humanen Krebszelltypen beurteilen und wir haben seine Wirksamkeit bei menschlicher T-Zell-Leukämie und chronischer myelomonocytischer Leukämie beobachtet, außerdem bei Pankreas- und Darmkrebs, ohne dabei eine Toxizität für Nicht-Krebszellen zu sehen. Darüber hinaus hat sich die Wirksamkeit der Studien in Tiermodellen (Mäusen) bestätigt, die mit menschlichen Darmkrebszellen transplantiert wurden. Klinische Studien wurden nun mit 30 Patienten eröffnet, die bereits alle anderen Krebsbehandlungsmöglichkeiten versucht hatten. Die Löwenzahnblätter enthalten äußerst wichtige Vitamine und Mineralstoffe wie Vitamin B6, Thiamin, Riboflavin, Vitamin C und Mineralstoffe wie Eisen, Calcium, Kalium, Folsäure, Magnesium und Mangan. Sie können bis zu 535% der vorgeschlagenen täglichen Einnahme-Menge an Vitamin K beisteuern und nicht weniger als 110% der empfohlenen Tagesdosis an Vitamin A. Es wird angenommen, dass einige seiner Flavonoide wie Zeaxanthin und Cryptoxanthin spezifische heilende Eigenschaften haben. Zeaxanthin unterstützt die Netzhaut, wenn sie durch UV-Strahlen belastet ist, während Cryptoxanthin den Körper potenziell gegen die Entwicklung von Mund- und Lungenkrebszellen schützen kann. 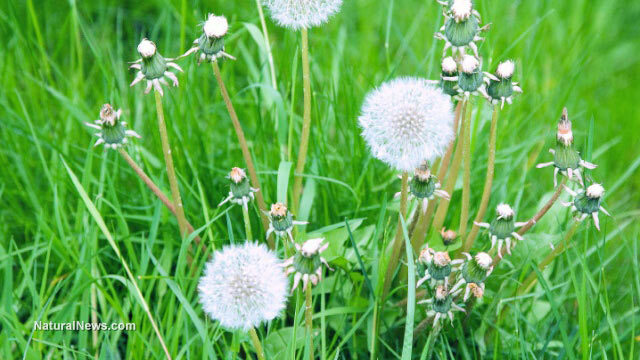 Dandelion extracts have been studied extensively in recent years for its anti-depressant and anti-inflammatory activity. Recent work from our lab, with in-vitro systems, shows the anti-cancer potential of an aqueous dandelion root extract (DRE) in several cancer cell models, with no toxicity to non-cancer cells. In this study, we examined the cancer cell-killing effectiveness of an aqueous DRE in colon cancer cell models. Aqueous DRE induced programmed cell death (PCD) selectively in > 95% of colon cancer cells, irrespective of their p53 status, by 48 hours of treatment. 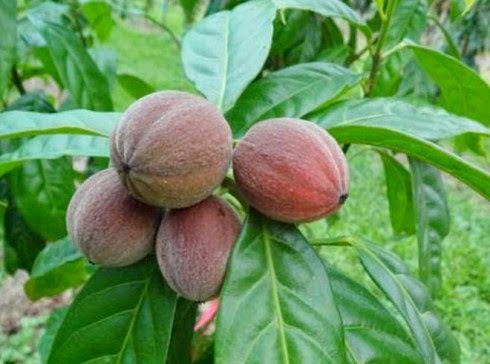 The anti-cancer efficacy of this extract was confirmed in in-vivo studies, as the oral administration of DRE retarded the growth of human colon xenograft models by more than 90%. We found the activation of multiple death pathways in cancer cells by DRE treatment, as revealed by gene expression analyses showing the expression of genes implicated in programmed cell death. Phytochemical analyses of the extract showed complex multi-component composition of the DRE, including some known bioactive phytochemicals such as α-amyrin, β-amyrin, lupeol and taraxasterol. 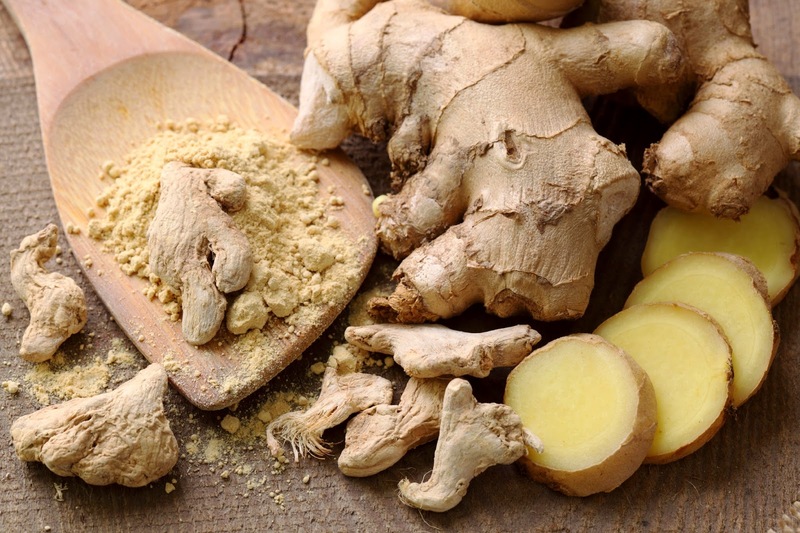 This suggested that this natural extract could engage and effectively target multiple vulnerabilities of cancer cells. Therefore, DRE could be a non-toxic and effective anti-cancer alternative, instrumental for reducing the occurrence of cancer cells drug-resistance. Löwenzahnextrakte wurden in den letzten Jahren intensiv auf ihre antidepressive und entzündungshemmende Wirkung untersucht. Jüngste Arbeiten unseres Labors mit In-vitro-Systemen zeigen das Antikrebs-Potenzial eines wässrigen Löwenzahnwurzelextrakts (DRE) in verschiedenen Krebszellmodellen ohne Toxizität für Nicht-Krebszellen. In dieser Studie untersuchten wir die krebszelltötende Wirksamkeit einer wässrigen DRE in Darmkrebszellmodellen. Wässrige DRE induzierten den programmierten Zelltod (PCD) selektiv in> 95% der Dickdarmkrebszellen, unabhängig von ihrem p53-Status, nach 48 Stunden Behandlung. Die Antikrebswirksamkeit dieses Extrakts wurde in In-vivo-Studien bestätigt, da die orale Verabreichung von DRE das Wachstum von humanen Kolon-Xenograft-Modellen um mehr als 90% verzögerte. Wir fanden die Aktivierung von multiplen Todeswegen in Krebszellen durch DRE-Behandlung, wie durch Genexpressionsanalysen gezeigt wurde, die die Expression von Genen zeigen, die an dem programmierten Zelltod beteiligt sind. Phytochemische Analysen des Extrakts zeigten eine komplexe Mehrkomponentenzusammensetzung des DRE, einschließlich einiger bekannter bioaktiver Phytochemikalien wie α-Amyrin, β-Amyrin, Lupeol und Taraxasterol. Dies deutete darauf hin, dass dieser natürliche Extrakt mehrere Schwachstellen von Krebszellen in Angriff nehmen und wirksam bekämpfen könnte. Daher könnte DRE eine nicht-toxische und wirksame Antikrebsalternative sein, die zur Verringerung des Auftretens von Arzneimittelresistenz bei Krebszellen beiträgt. "...Dandelion has not been shown to treat or prevent cancer.Dandelion is used in traditional medicine to treat many ailments. Laboratory studies have shown that dandelion can kill certain bacteria and other microbes. It was also found to have anticancer properties in colon cancer, pancreatic cancer, leukemia, and melanoma cells, but studies have not been conducted in humans. Dandelion has estrogenic activity. It may increase the growth of hormone-sensitive cancer cells. 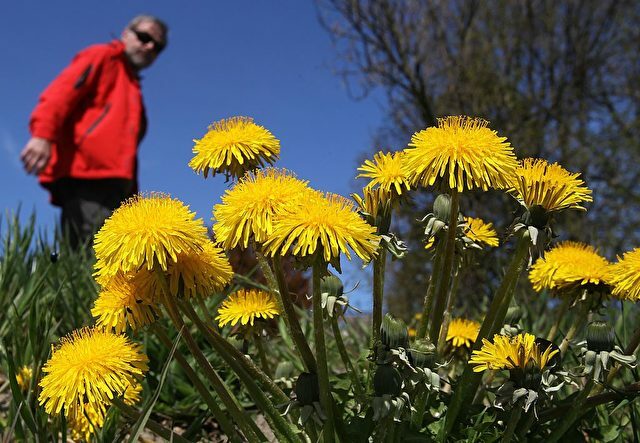 Dandelion can also promote urination. Laboratory studies have shown dandelion to have anticancer properties, but clinical studies have not shown this effect in humans." "...Phase one clinical trials were approved by Health Canada in 2012. Phase one trials do not reveal whether the substance being tested has a medicinal effect." Auch ein Wirkstoff gegen Krebs? MAINZ. Artemisinin, ein Auszug aus dem Einjährigem Beifuß (Artemisia annua) ist wohl nicht nur für die Malaria-Therapie bedeutend, sondern auch vielversprechender Wirkstoff für die Krebsbehandlung, heißt es in einer Mitteilung der Johannes Gutenberg-Uni Mainz. Eine Studie ergab, dass Derivate von Artemisinin die Lebenszeit von Darmkrebs-Patienten verlängern können (EBioMedicine 2015; 2: 82-90). Der in dem Einjährigen Beifuß (Artemisia annua) enthaltene sekundäre Pflanzenstoff Artemisinin erlangte Ende des Jahres 2015 eine besondere Bedeutung, denn sein Einsatz in der Malaria-Forschung brachte der chinesischen Wissenschaftlerin Youyou Tu den Medizin-Nobelpreis. Wie eine aktuelle Studie nun zeigt, birgt das in China, Vietnam und Ost-Afrika beheimatete bzw. angebaute Beifußkraut auch Potenziale für die Krebsforschung. 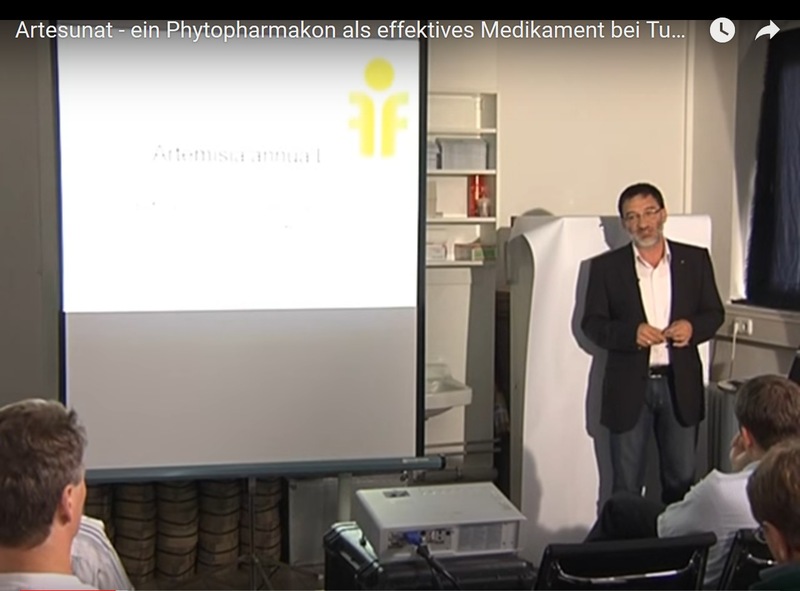 In der Studie wurden den teilnehmenden Darmkrebs-Patienten über zwei Wochen täglich eine Dosis von 200 mg Artesunat, einem Derivat von Artemisinin, oder aber ein Placebo verabreicht. Zwei bis drei Tage nach der Medikationsphase unterzogen sie die Teilnehmer einer Operation. Dabei erwies sich der pflanzliche Arzneistoff im Vergleich mit dem Placebomedikament als erfolgreicher in der Wachstumshemmung der Krebszellen. Dieser Effekt war in der Artesunat-Gruppe im Vergleich um 12 Prozent höher. Ebenso verlängerte sich in der Artesunat-Gruppe die Lebenszeit ohne Rückfall um ca. ein Drittel mehr als in der Placebo-Gruppe. Im Rahmen der Nachbeobachtungszeit von 42 Monaten kehrte bei sechs Patienten in der Placebo-Gruppe der Krebs wieder zurück, während dies in der Gruppe mit dem pflanzlichen Derivat nur bei einem Patienten der Fall war. Fig. 1. From: A Randomised, Double Blind, Placebo-Controlled Pilot Study of Oral Artesunate Therapy for Colorectal Cancer. Assessment for eligibility was recorded after 6 patients had been randomised, so that these added to the 17 patients randomised after screening give the total number of randomised patients (n = 23). Sanjeev Krishna, et al. EBioMedicine. 2015 Jan;2(1):82-90. Fig. 5. From: A Randomised, Double Blind, Placebo-Controlled Pilot Study of Oral Artesunate Therapy for Colorectal Cancer. a. Patient CRC 04's haemoglobin (filled red circles, g/dl), total white cell count (filled blue squares, × 10− 9/L), neutrophil count (green triangles, × 10− 9/L) and platelet count (grey diamonds, x) are shown from the start of the study (Day 0). b. CRC 07's serum carcinoembryonic antigen levels are shown from the start of the study (Day 0). c. CRC 07's haematological results are shown from the start of the study (Day 0) with symbols as in a. Tx is transfusion of red cells. Fig. 4. From: A Randomised, Double Blind, Placebo-Controlled Pilot Study of Oral Artesunate Therapy for Colorectal Cancer. Survival recurrence curves predicted by Cox proportional hazards model. Patient CRC21 was assumed to be missing completely at random (please see Supplementary Table 1 for a full sensitivity analysis). In the placebo group 2 patients died within a year (108, 170) days leaving 10 (83%) in the study, another 2 within the next year (383, 663 days) leaving 8 (66%) in the study and the other two died within the third year of the follow up (749 and 990, respectively) leaving 50% patients beyond the third year. The only death in the artesunate group happened after 552 days leaving 9 patients (90%) surviving beyond the third year. These crude estimates support the estimates from the data above. Fig. 2. From: A Randomised, Double Blind, Placebo-Controlled Pilot Study of Oral Artesunate Therapy for Colorectal Cancer. 2a Ki67 staining in treatment groups. Individual results for Ki67 epithelial cell staining (% positive), the grand means in each treatment group as predicted by the random effects model and individual predications are displayed. Interquartile intervals are presented for the raw measurements and the 95% credible intervals correspond to the individual and group predicted means. This analysis has been carried out under missing at random assumption (MAR) with large uncertainty around the individual means of missing individuals, as expected and shown for 3 individuals randomised to receive artesunate but not able to be analysed for reasons given in results. These results correspond to non-informative prior assumption with regards to the difference between the two groups. 2b Sensitivity analysis to various prior information on the difference between the two groups with respect to Ki67 — the analysis has been justified by published experimental results. The probability that the difference between artesunate and placebo is negative remains high even under a skeptical prior of no effect (0.77). Fig. 3. From: A Randomised, Double Blind, Placebo-Controlled Pilot Study of Oral Artesunate Therapy for Colorectal Cancer. Immunohistochemical staining of biomarkers in colorectal cancer. (a) Detection of apoptotic cells by the Tunel assay, (b) Ki67, (c) p53, (d) EGFR, (e) c-MYC, (f) CD31, (g) VEGF, (h) negative control (without primary antibody). Magnification: × 250. For determination of protein expression the UltraVision polymer detection method (kit from Thermo Fisher Scientific GmbH, Dreieich, Germany) was used as detailed in Supplementary methods. The immunostained slides were scanned by Panoramic Desk (3D Histotech Pannoramic digital slide scanner, Budapest, Hungary) and interpreted (Quantification of immunostained slides) by panoramic viewer software (NuclearQuant and membraneQuant, 3DHISTECH) in which positive stained nucleus or membrane were counted in each defined annotated area. Evaluation parameters included number of overall detected objects (nucleus or membrane) in each annotated area, average of positivity and intensity. Nuclear stainings (Ki67, p53, c-MYC, TUNEL) were quantified using the Nuclear Qant software and Membrane-bound and cytosolic stainings were quantified by the MembraneQuant software (3D histoQuant). Results are in . Artesunate is an antimalarial agent with broad anti-cancer activity in in vitro and animal experiments and case reports. Artesunate has not been studied in rigorous clinical trials for anticancer effects. To determine the anticancer effect and tolerability of oral artesunate in colorectal cancer (CRC). This was a single centre, randomised, double-blind, placebo-controlled trial. Patients planned for curative resection of biopsy confirmed single primary site CRC were randomised (n = 23) by computer-generated code supplied in opaque envelopes to receive preoperatively either 14 daily doses of oral artesunate (200 mg; n = 12) or placebo (n = 11). The primary outcome measure was the proportion of tumour cells undergoing apoptosis (significant if >7% showed Tunel staining). Secondary immunohistochemical outcomes assessed these tumour markers: VEGF, EGFR, c-MYC, CD31, Ki67 and p53, and clinical responses. 20 patients (artesunate = 9, placebo = 11) completed the trial per protocol. Randomization groups were comparable clinically and for tumour characteristics. Apoptosis in >7% of cells was seen in 67% and 55% of patients in artesunate and placebo groups, respectively. Using Bayesian analysis, the probabilities of an artesunate treatment effect reducing Ki67 and increasing CD31 expression were 0.89 and 0.79, respectively. During a median follow up of 42 months 1 patient in the artesunate and 6 patients in the placebo group developed recurrent CRC. Artesunate has anti-proliferative properties in CRC and is generally well tolerated. Are you looking for a cancer treatment that attacks, and kills cancer cells with little harm to healthy cells? Now add, it should have zero to minimal side effects when administered properly, cost less than $3.00 per day for treatment, and obtain excellent results. The answer may be closer than you think. One of the most promising new cancer treatment possibilities is Artesunate, a standardized pharmaceutical grade derivative of Artemisinin from the Artemisia annua plant, also known as Sweet Wormwood or Sweet Annie. Artemisia annua has been used in traditional Chinese medicine for thousands of years. In fact, records of its use were unearthed in an ancient Han Tomb at Mawangdui outlining treatment for malaria with Artemisia. Also discovered, was a small region in Viet Nam that has been quietly relying on the Artemisia Anna plant for its malaria healing powers. 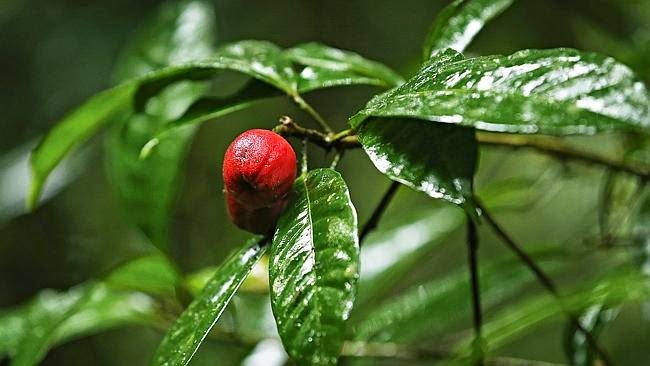 As a result of these discoveries, in the 1960’s the Chinese began using this plant to treat malaria. In the 1970’s the World Health Organization began investigating Artemisia annua as a malaria cure when Quinine became less effective. And in 1972, Artemisinin was isolated from the plant by Dr. Tu Youyou of China as one of its principal active ingredients. For this discovery and his work with Artemisinin, Dr Tu received a Nobel Prize in 2015. Einige natürliche Stoffe haben die Eigenschaft, Stoffwechselprozesse einer Tumorzelle zu blockieren. Die kann zum Untergang einer Tumorzelle führen. Dies ist das Ziel einer Therapie mit einem biologischen Chemotherapeutikum. Dabei kann nur ein Stoff oder eine Kombination von mehreren Stoffen, die dann in Summe mehrere Stoffwechselprozesse blockieren, verwendet werden. Ursprünglich wurde Artemisinin aus Artemisia annua gewonnen und sehr effektiv in der Antimalariamedizin eingesetzt. Der Wirkstoff hat eine erstaunlich niedrige Toxizität für den Menschen und wird durch Häm und/oder intrazelluläres Eisen aktiviert, was zur Bildung von freien Radikoalen (atomarem Sauerstaoff) führt. Zunächst oral verabreicht, sprachen unterschiedliche Tumorarten erstaunlich gut darauf an; in parenteraler Verabreichung mit noch nachhaltigerer Wirkung. Über die Effektivität des Artemisininderivats Artesunat als Apoptoseinduktor (Auslöser des CA-Zelltodes), z.B. bei chemoresitenten Neuroblastomen, Pankreas-, Prostata- und Coloncarcinomen, werden in zunehmender Anzahl Unterschungsergebnisse publiziert. Eigene Ergebnisse und ein effektiver Einsatz sollen nahe gebracht und an Besipielen aus aktueller Literatur belegt werden. Erkrankungsrate bei Krebs 60% gesenkt! Seit mehr als 40 Jahren gibt es Hunderte von Studien, die gezeigt haben, dass TM ganz besonders wirksam ist, um Krankheiten zu heilen und – was noch besser ist – ihnen vorzubeugen. Die TM-Forschung ist der wissenschaftliche Beleg dafür, dass der menschliche Körper stark genug ist, sich selbst gesund erhalten und sogar heilen zu können. Die Erkenntnis, dass die psychosomatischen Selbstheilungskräfte im Menschen durch den Prozess des Transzendierens äußerst wirkungsvoll in Gang gesetzt werden und viel umfassender wirken, als es bisher für möglich gehalten wurde, beginnt sich zunehmend in mehreren Ländern Amerikas, Asiens und Europas bei Wissenschaftlern und Medizinern durchzusetzen. In Deutschland fehlen uns zwar zur Zeit noch die Ergebnisse großer Studien mit einigen tausend Teilnehmern – wie in den USA –, durch die hiesige Mediziner, Wissenschaftler, Wirtschaftsfachleute wie auch Politiker restlos überzeugt würden, dass der Mensch viel mehr Selbstheilungskräfte besitzt und nutzen kann, als man sich bisher vorstellen konnte. Mit der Zeit werden sich aber neue Denkweisen und ein tieferes Verständnis auf Grund millionenfacher, guter Erfahrungen mit der TM in allen Teilen der Welt durchsetzen. Krankenversicherungen (und letztendlich alle steuerzahlenden Bürger) könnten jedes Jahr riesige Vermögen im Bereich hoher zweistelliger Milliardenbeträge sparen, wenn die Versicherten finanziell unterstützt würden, sofern sie aktiv etwas Wirkungsvolles unternehmen, um gesund zu bleiben und wieder zu werden. Vorbeugen ist immer wesentlich billiger als Heilen. Sobald das von den Entscheidungsträgern der Gesellschaft erkannt wird, werden die Kosten für TM-Kurse mit Sicherheit auch hier in Deutschland von der Solidargemeinschaft der Versicherten getragen oder vom Staat erstattet werden, so wie heute schon ein normaler Arztbesuch, Medikamente, bestimmte Kuren oder der Gesundheitsunterricht in Schulen. Unsere Prinzipien und Aktivitäten sind auf ganzheitliche Gesundheit und Wohlergehen aller Menschen ausgerichtet und natürlich nicht auf steigende Aktienkurse. Wir können und wollen nur solche Verfahren anbieten, von denen wir wissen, dass sie nachweislich natürlich und nebenwirkungsfrei funktionieren. Wir rechnen deshalb damit, dass die Patienten und Ärzte auch in Deutschland auf die Krankenkassen und den Gesetzgeber aufgrund ihrer positiven Erfahrungen Einfluss nehmen und für die prophylaktischen Wirkungen der Tiefenentspannung und Stärkung des Immunsystems durch die TM die Kostenübernahme für Kurse durchsetzen werden. Bis dahin aber ist noch die private Initiative derer gefordert, die vorausschauend und selbstverantwortlich in ihre Gesundheit, Prophylaxe und Bewusstseinsentwicklung investieren wollen. Hier sind einige der eindrucksvollsten Studien, die zeigen, wie viel Geld man einsparen könnte. Eine großangelegte Studie in Kanada hat 1400 TM-Ausübende und 1400 Kontrollpersonen derselben Alters- und Risikogruppe miteinander verglichen. Die Studie beobachtete 14 Jahre lang die Gesundheitsausgaben beider Gruppen, 9 Jahre vor dem Beginn der TM und danach die darauffolgenden 5 Jahre, als die eine Gruppe mit der TM-Technik startete. Bevor die TM-Probanden mit der TM anfingen, waren ihre Ausgaben etwas höher als die der Kontrollgruppe, aber sobald sie die Technik der TM erlernt hatten, begannen ihre Gesundheitsausgaben signifikant zu sinken. Nach 5 Jahren waren ihre Ausgaben sogar um 50 % niedriger als in der Kontrollgruppe. 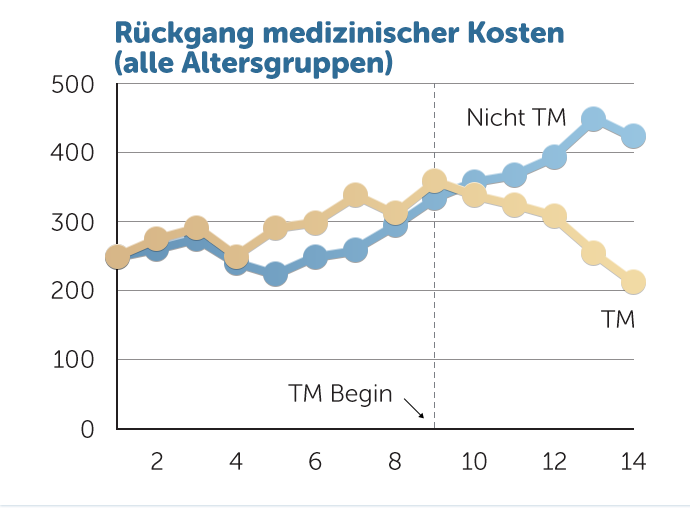 Für die älteren TM-Ausübenden (älter als 65 Jahre), die normalerweise die teuerste Gruppe für das Gesundheitswesen darstellen, waren die Ausgaben sogar fast 70 % niedriger. Eine weitere, großangelegte Studie in den USA, in der über 5 Jahre hinweg die Gesundheitsstatistiken von 2000 TM-Ausübenden mit dem Bevölkerungsstandard verglichen wurden, kam zu einem ähnlichen Ergebnis: ein Rückgang bei Krankenhauseinweisungen um 50 % bei der jüngeren Gruppe und um 70 % bei TM-Ausübenden, die über 40 Jahre alt waren. und bei Herzerkrankungen eine Reduzierung von 87 %! Die eindrucksvollsten Studien über TM sind jedoch die über Herz-Kreislauf-Erkrankungen in Zusammenarbeit mit den National Institutes of Health, den Gesundheitsforschungszentren der amerikanischen Regierung. Während der letzten 20 Jahre hatten sie mehr als 25 Millionen US Dollar speziell für die Forschung über die Wirkung von TM auf Blutdruck, Diabetes, Arteriosklerose und Herzkrankheiten ausgegeben. Sie kamen dabei zu dem Ergebnis, dass die TM hoch wirksam und die einzige geistige Alternativmethode ist, die wirklich zu funktionieren scheint. Das heißt: Man erhält mindestens dieselben oder sogar deutlich bessere Resultate, als man sie nur durch eine rein schulmedizinische, medikamentöse Behandlung erreichen kann. Die TM ist aber viel billiger und erzeugt nicht wiederum kostspielige und lebensverkürzende Nebenwirkungen. Eine zumindest unterstützende Behandlung durch die TM-Technik erscheint deshalb auch bei klassischer Behandlung mit Medikamenten sehr sinnvoll. Eine randomisierte Kontrollstudie über 5 Jahre mit 200 Herzpatienten fand heraus, dass es unter den 100 TM-Ausübenden 48 % weniger Fälle von Herzinfarkt, Schlaganfall oder davon ausgelösten Tod gab, ein Ergebnis, das man noch nie zuvor bei einer rein mentalen Technik gesehen hatte. Herz-Kreislauf-Erkrankungen sind bei weitem das teuerste Gesundheitsproblem mit über 37 Milliarden € pro Jahr allein in Deutschland. Es handelte sich darüber hinaus um eine Studie mit Patienten, die bereits Herzprobleme gehabt hatten und erst von TM erfuhren, als die Beschwerden bereits aufgetreten waren. Auf der Grundlage dieser Ergebnisse empfiehlt die American Heart Association jetzt offiziell, dass die TM bei der Behandlung von Bluthochdruck und Herzerkrankungen in Betracht gezogen werden sollte.